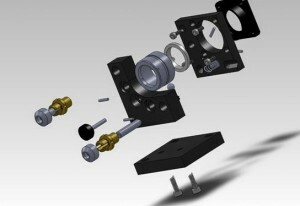 Asia Infotech is a India’s leading provider of top notch mechanical design and drafting services. Their expertise is used extensively in various industrial sectors for the development of small and large products. While they were established in 2009, they have already established themselves as one of the best technical services providers in the country with their penchant for delivering the best quality support every time. Asia Infotech is a leading technical services company in India known for delivering top notch support services to companies working within the engineering sectors. They are particularly revered for their engineering services which they provide to clients in India. Companies operating in industries such as petrochemical, oil and gas and water regularly benefit from the state of the art services offered by Asia Infotech. With the help of the latest technology and different types of CAD software products, Asia Infotech offers advanced range mechanical design services that in turn help clients to develop new types of products. It also helps companies to enhance their competence in the market and reduce their overall design time significantly. The mechanical drafting services offered by Asia Infotech include making new sketches from the design data as well as creating assembly drawings for various types of architectural schematics, mechanical assemblies and structural designs. Finally, all of these are transformed into multi-layer CAD drawings. Specially trained teams handle all mechanical 2D drafting and detailing requirements and the same can be said for mechanical 3D modeling. This automatically helps to enhance the productivity and quality of the projects handled. Asia Infotech is a renowned provider of technical services in India known for working with companies in various industrial segments like engineering. Their mechanical design and drafting services are used extensively by companies in India operating within the water, petrochemical, oil and gas, waste water treatment and process industries. The high quality services offered by Asia Infotech have made them industry leaders in this sphere within a very short time.